Almost all purebred Border Collies can trace their ancestry back to Old Hemp, a tricolor dog born in Northumberland in the late 19th century. Old Hemp became famous for being one of the most intelligent and responsive herding dogs to date. Powerful and strong-witted, sheep responded better to Old Hemp than any other herding canine of the era. Adam Telfer, Old Hemp’s owner, later used him as a stud dog. In 1915, a man named James Reid –the secretary of the International Sheep Dog Society in the UK—first coined the term ‘Border Collie’ to differentiate between the KC’s Collie, which first made its introduction in 1860 at the second dog show ever in England. While Collie’s (Scotch Collie, Rough Collie, and Smooth Collie) were becoming prevalent, the Border Collie was not one of the credited breeds. Later, after much astonishment of the Border Collie herding demonstrations—in which the dogs responded merely to hand gestures and calls from their owner—the Border Collie breed solidified its place as the premier sheepherding dog, something it remains to be today. The AKC recognized the Border Collie breed on October 1st, 1995. Border Collies are among the most intelligent dog breeds in existence. These are dogs that come from the working class of their species—a trait earned specifically from their intelligence and work-ethic to do so—meaning they’re the opposite of your average homely canine. Characteristically energetic, alert, keen, and engaged, Border Collies process and absorb information quick enough that owners often find it difficult to keep them challenged. Being that the Border Collie was bred to run for hours on end, and do so with a purpose, they have an unbelievable surplus of energy. Not only that, but they covet stimulation. If you’re someone that cannot devote a substantial chunk of your day to your dog, the Border Collie is not the dog for you. Without constant stimulation, excessive exercise, and a job to do, the Border Collie can often grow moody and turn self-destructive. Bad behavior surfaces in the form of chewing up the room, chasing cars, children, and other animals—stemming from being a landrace—and is directly correlated with restlessness. However, if trained and exercised properly, the Border Collie is a man’s best friend. They possess loyal, independent, and responsive characteristics. Border Collies can often predict their owner’s mood with their sharp intuition. Oddly enough, independence and work ethic aside, the Border Collie has a tendency to become extremely sensitive. This fault comes from their hyper-awareness to signals and sounds, which turns inward if they become bored. It is an absolute necessity to start with early-socialization and puppy classes, as the more exposure the Border Collie has initially, the more prone they are to develop a confident personality. Thus creating better temperament and a more social behavior. Training a Border Collie requires careful preparation, consistency, and patience. From training the canine to be obedient and domesticated, tricks and herding principles, and simply to respond via gestures, there is a slew of dynamics involved in a Border Collie’s training process. These dogs are impressively intelligent. Thus, it is important that early on, rather than asserting yourself as the alpha of the household, you must gain your Border Collie’s attention. An attentive Border Collie is important for developing a well-behaved Border Collie with a better temperament. Consistency is a huge factor in a well-trained Border Collie. Their process of learning is unlike most dogs, and in turn you must be delicate about your commands and gestures. Do not use multiple words for different commands, as the Border Collie will be able to attribute each word to the given outcome desired, then fall into confusion due to the discrepancy between them. Border Collies are naturally sensitive. This means they do not respond well to punishment. Instead, positive reinforcement is best served when training a Border Collie. Praise and a reward system for good Border Collie behavior produces the best results. Just as well, it’s important that you go above and beyond in your training. By teaching your dog tricks, games, and various commands, you keep your Border Collie engaged; this provokes stimulation, which in turn removes their proneness to being bored and misbehaving. Border Collies require an immense amount of exercise. But not without balance. Bred as herding dogs and being at the top of their class in that, these dogs have run in their legs. They need a release. It’s recommended that a Border Collie receives at least 45 minutes of activity a day. Often it is best to ‘run’ them out, and then take them for a few brisk walks afterwards. Be careful here, as often owners make the mistake of allotting too much time for exercise in their puppy years, which produces an adult that requires the same standard of activity. It’s important to keep a balance and remain the parent when it comes to time-management. They need mental exercise too, which is why experts often recommend that in their activity they are also playing games, learning various tricks and commands, and experiencing more stimulation than your normal walk down the block. Border Collie life expectancy typically ranges anywhere from 12-15 years. The Border Collie ranks 38th of the 155 dog breeds in the AKC’s popularity ranking. Border Collies are extremely intelligent, keen, have a capacity to reason unparalleled in their species, and are naturally workaholics. While these traits make them fantastic herding dogs, they’re often not the most suitable pets and require an immense effort on the owner’s behalf. The lack of house-dog personality traits contribute to its lack of household popularity. It’s important to remember that with feeding, every dog is different. While your Border Collie will eat more as a puppy than when they enter adulthood, the quantity will differ from that of the Border Collie next door. 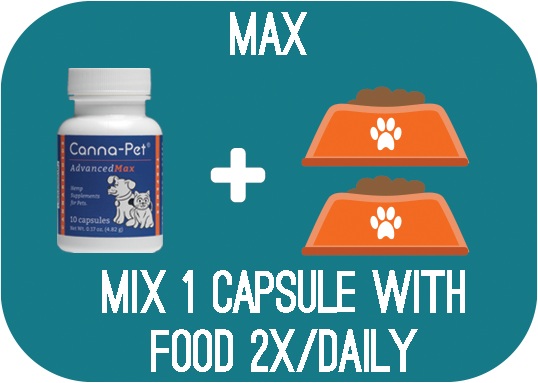 Generally, puppies should eat two scoops of dry food—filled with nutrients, as they’re active dogs and require high-quality food for healthy growth—two to three times a day. As they age, be sure to carefully maintain the balance between their weight and food intake. If they’re gaining weight, cut back on the quantity of food. If they’re, for whatever reason, more active than usual, up their intake. Their metabolisms will wane overtime, so be sure to take that into consideration. Border Collie breeds come in two different types of coats: one on the rougher side, one smoother. If their phenotype is on the rougher side, their coats are usually lengthier and feathery. If on the smoother side, their coats are often shorter with less feathering. Being that these are working dogs, they don’t require an immense amount of grooming. A weekly brush is sufficient, with perhaps two per week when they’re shedding seasonally. They require three baths per year, but bathe as needed, especially if they’re shedding a miasma of odor. Dental hygiene is essential. For optimal Border Collie health, their teeth should be brushed two to three times a week to avoid tartar and bacteria buildups. Trim their nails if needed, otherwise their excessive exercise should wear them down naturally. Weekly checkups are a must. Start the hygiene and checkup routine when the Border Collie is a puppy, so to accustom them to the process of grooming. These are outdoor dogs, meaning they’re more prone to infection, bacteria, and parasites. Survey their ears for any sign of infection, then swab them clean weekly. Probe their bodies for sores, rashes, inflammation, infection, or redness. Their eyes should be a distinct white. Redness or discharge are signs of Border Collie eye problems. Are Border Collies Good with Kids? Generally speaking, Border Collies behave well with children. While they aren’t the most suitably fit for youngsters, with proper puppy classes and training, and a thorough understanding of their dynamic on the children’s behalf, they can be loving, playful, and loyal companions. Their natural herding instincts will cause them to nip, bark, and chase the children if otherwise untrained. Perhaps their one fault is that Border Collies—when desiring to play—will often not be able to distinguish age. Meaning they will be just as lively and boisterous with a young child as they would with an adult. This too can be curbed if properly trained, but it something to be aware of. Hip Dysplasia: similar to the human anatomy, Border Collie hip dysplasia occurs when the thighbone does not fit tightly into the hip joint. If there is a displacement between the two, the dog can show lameness on either a single or multiple legs. Most often this condition affects the hind legs. Progressive Retinal Atrophy (PRA): this inherited disease causes the retina to deteriorate, eventually leading to a partial or complete loss of sight. Initially, it begins with night blindness and eventually manifests into daytime impairment. While most Border Collies can adapt to the condition and adjust in their environment, it creates a flux in their temperamental stability. Epilepsy: this is a neurological condition that is often inherited, which causes the affected to have seizures. In the dog world, signs of Border Collie epilepsy are your dog demonstrating unusual behavior; running frantically from nothing, hiding for hours on end, and staggering. Despite the hardship of watching your beloved canine befall this condition, generally they’re still expected to live long and healthy lives if treatment is granted. Osteochondrosis (OCD): while most of are used to OCD being an acronym for Obsessive-Compulsive-Disorder, for dogs it is an orthopedic condition directly correlated with the improper growth of cartilage. Most often affecting the elbow, it can also take place in the dog’s shoulders. The symptoms include extreme pain, difficulty walking, and the inability to completely straighten or bend the arm. Some cases of OCD have been directly linked to the overfeeding of ‘growth formula’ in early ages. Collie Eye Anomaly: this incredibly unfortunate—also inherited—condition causes a mess of changes and abnormalities in the eye that eventually leads to blindness. This condition is usually diagnosed within the first two years of the Border Collie’s life. It remains without treatment. After chronic soreness due to arthritis, our 11-year-old Border Collie says “”thank you””. This product has increased her mobility and mood, giving her a more pain-free life as a senior. We highly encourage any dog owner to support this product.